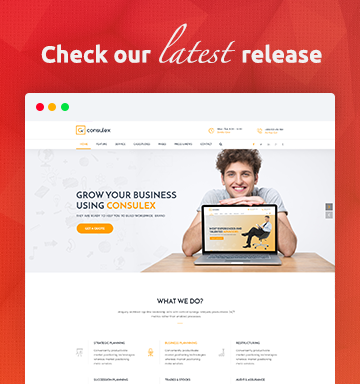 Are you looking for a free HTML business template? Can’t take the decision which one can fulfill your all the needs? Yes! You have come in the right places. Neuron Finance can solve your problem to make the digital presence of your company or idea. Important to realize, Neuron is free a HTML business template. So you will be able to live your business without any cost. Another key point, it has added a lot of premium features in a single HTML template. 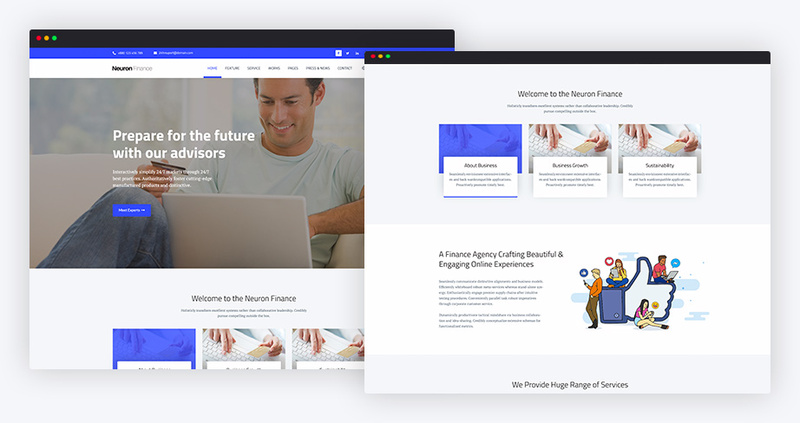 If you want to build an awesome business website, you can use this template for the multifunctional task. Though the template is very simple, you can do all the jobs very perfectly. Another key point, you can use the Neuron Finance for different types of business including start-ups, corporate or finance services. The template has been built with HTML5, CSS3, and Bootstrap by considering the need of a business. On the other hand, It has included all the necessary pages as pre-made. You will get a full documentation to customize it. With this in mind, you have no tension to edit the template. If you are not more tech savvy, you can also use it. It’s very well coded, lightweight and fast loading. If I tell the core features of the template only, firstly you will get an amazing responsive home page. On the other hand, you can express everything about business by the about us page. Similarly, if you want to highlight your services area, the service page can do it. You can show your working process and portfolio from two work page. Certainly, for launching a stunning blog, you will get blog page. For providing the update, you can use the news and events page. At last, you will find the contact page to provide all the necessary contact information of you. Simply, the template is very responsive, clean and it can fulfill your dream to run an impressive website today. An amazing homepage with the big slider can express a lot of things about your business. Notably, you can add the essential “call to actions” here. Accordingly, this free HTML business template has added all the necessary section and function on the home page. For example, portfolio, services, testimonial and big footer with all the necessary link. You will be able to show subscription section here too. A free template can’t provide a lot of pre-made pages. But Neuron Finance has added it also. As a free HTML business template, you will get all the necessary pages as pre-made. For example, about us page, service page, blog page, testimonial page and contact us page. Truly, it can be a great chance to build the website without any coding knowledge. 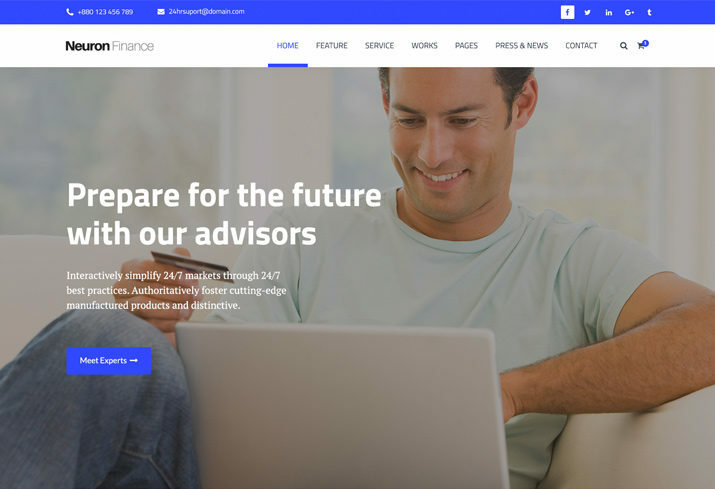 Neuton Finance is a fully responsive template. As half of the users are from the smartphone, so it is very important to make it responsive. With this in mind, the template will work for every devices and browsers. 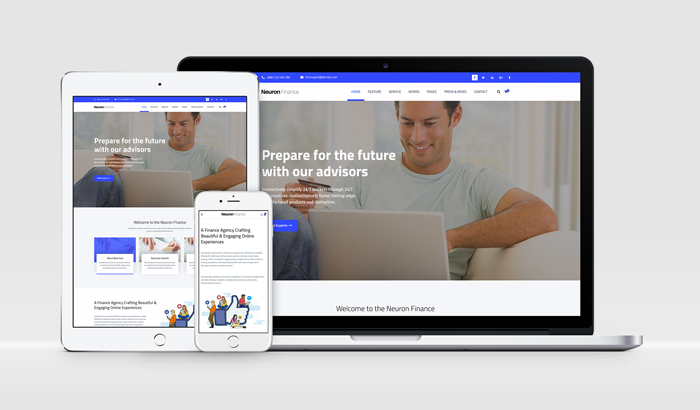 This free HTML business template has been built with clean and w3c validated code. In a view of, you can customize the full template without becoming more tech savvy. On the other hand, you will be able to edit the template by editing the text only. If a free business can fulfill your all the basic needs, why not building a website today? Equally important, Trendy Theme is always providing amazing free and premium HTML and WordPress template all the time. So, why are you still waiting to get a copy of you? Let’s take the taste of Neuron Finance. Surprisingly, it’s totally free HTML business template, so download it now.